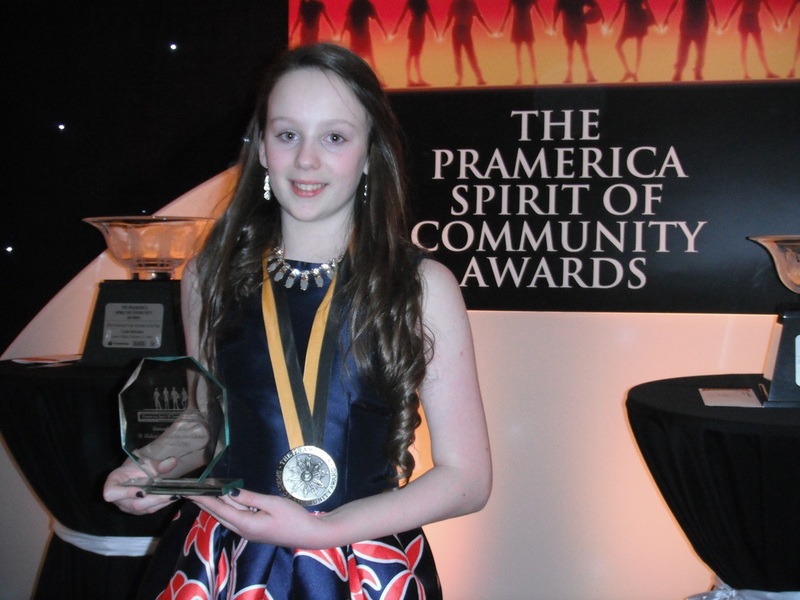 Congratulations to Annagh McBreen in first year who received a Junior achievement award at the 2016 Pramerica Spirit of Community Awards ceremony which was held in Lough Eske Castle Hotel in Donegal on 10th March .Annagh’s baby sister Grace was born with Downs syndrome in 2014 and this inspired Annagh and her twin sister Clodagh to raise awareness of Downs Syndrome and subsequently helped to raise €2500 for Down syndrome Ireland and €1000 for the local Cavan branch. Annagh is an inspiring role model for her peers and for all of us. She represents what is positive in the world. She has opened her eyes to the needs of others and in her own words said “I just want Grace to have the same chances in life that I’ll have”.